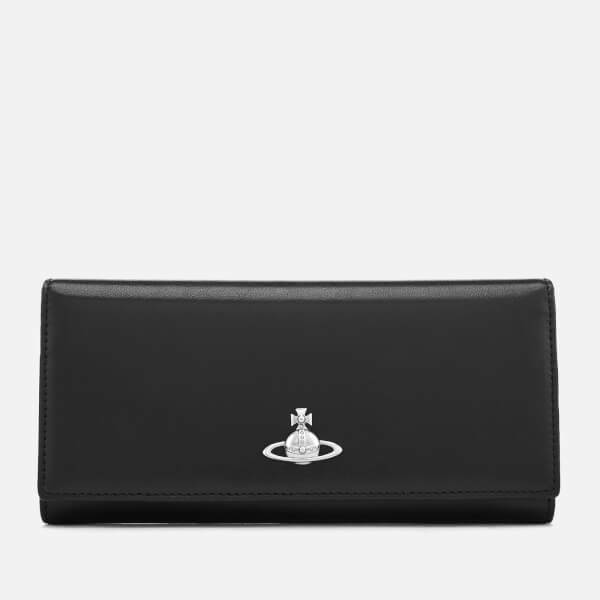 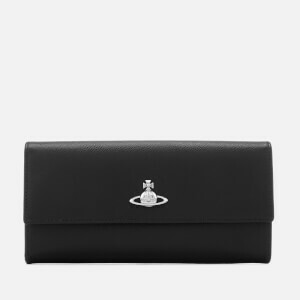 Adorned with a silver-tone appliqué logo of iconic British label Vivienne Westwood’s emblematic Orb, the black leather ‘Matilda’ purse showcases a sleek folded design secured with two snap buttons. 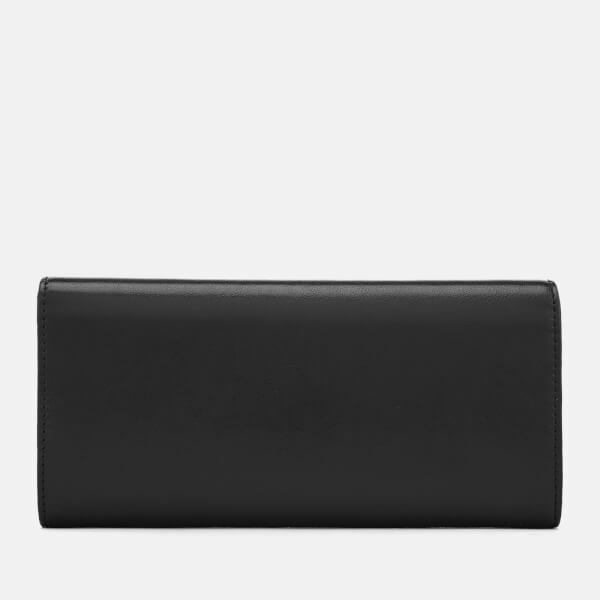 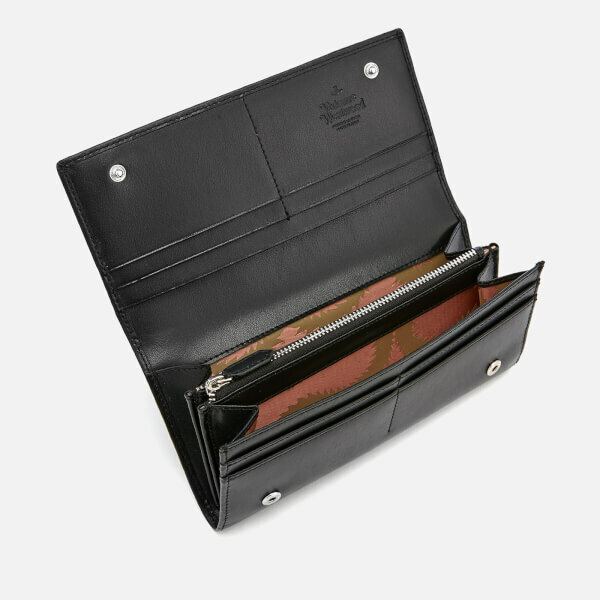 Inside, the long wallet features eight card slots, a slip pocket, and a main compartment bisected with a central zip pocket for loose change. 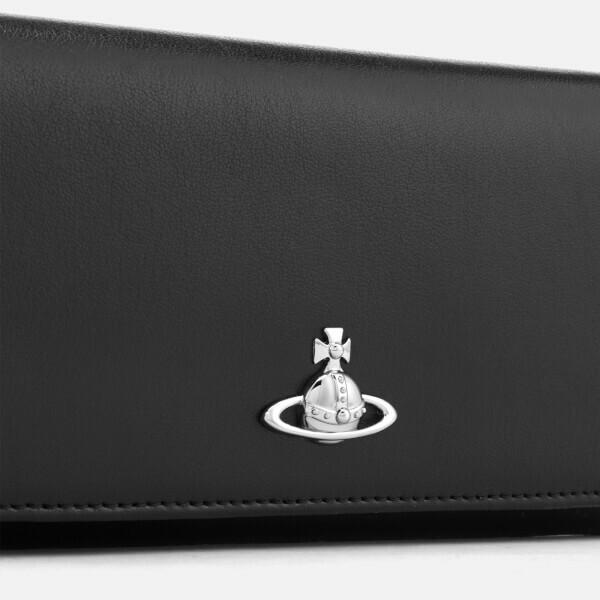 Presented in a branded box.